Hello Wendy Sears. We have now completed our review of your site submission. We are very pleased to present your site with the Casey's Celtic Charm Gold Award, which also qualifies as a WTA at Website Awards. Thank-you for giving us the opportunity to review your work. Your effort and dedication shine throughout your pages. You are most deserving of many accolades, and for making the World Wide Web a much better and nicer place for us all. 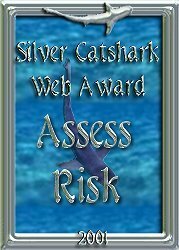 On behalf of myself and my evaluators I would like to present you with our Silver Catshark Award! Your site was a pleasure to visit and shows the standards, hard work and love you put into every detail. Your site is a wealth of valuable information for woman! Well done!! I have bookmarked it and will definitely return many times!!! 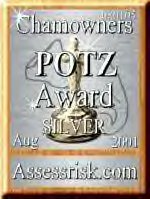 Thank you for visiting my web site and applying for an award :) I have visited your web site today and I think you have done a FANTASTIC job! Therefore, it gives me great pleasure in presenting you with my award. 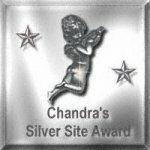 Congratulations and keep up the good work!Faye-Linda McGovern, Chandra's Web Pages. You have done a superior job in creating your website. Circus World Awards Program honors webmasters who show excellence in all areas of web site design. These areas include: the site's underlying structure, site layout/appearance, content, consistency, and appropriate usage of color.